Home News Morocco Morocco’s Moment of Reform? The new constitution provides for an “elected” prime minister drawn from the ranks of the largest party in parliament. With the king’s consent, he has the authority to appoint and fire ministers as well as dissolve parliament. Under the proposed reforms, parliament—which had long been relatively weak—now has the potential to play a more assertive role. The exercise of parliamentary oversight of the executive branch is strengthened by lowering the threshold for launching investigations (just one-fifth of its members) and introducing a censure motion against cabinet ministers (one-third). The new constitution also sets into motion a decentralization process, whereby more power is devolved to elected regional councils. On the flip side, the constitution maintains the king’s dominant position in Moroccan politics. He remains the country’s supreme religious and military authority. In matters of security—it is up to the king to decide what exactly that means—he, rather than the prime minister, will have the authority to convene the cabinet. In other words, the king will continue to have veto power over all major decisions. This is where Morocco’s friends in the West come in. The time for prioritizing economic liberalization at the expense of democratic reform is over. 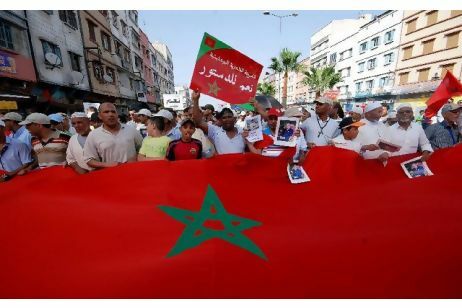 While Morocco may be more “progressive” than most its neighbors, it is still a state that relies on political restrictions and repression, albeit with a subtler touch. The United States and the European Union should stop heaping praise on Morocco for being a model of reform it hasn’t yet become. * Shadi Hamid, Director of Research, Brookings Doha Center. This article was originally published at the Brookings on June 28, 2011.